Mineral oil burns in oil lamps easily when blended lightly with other items. Making your own homemade lamp oil allows you the ability to keep a lantern full without spending money on commercial lamp oils. Making your lamp oil from mineral oil is cheap and easy thanks to its availability in grocery and department stores. 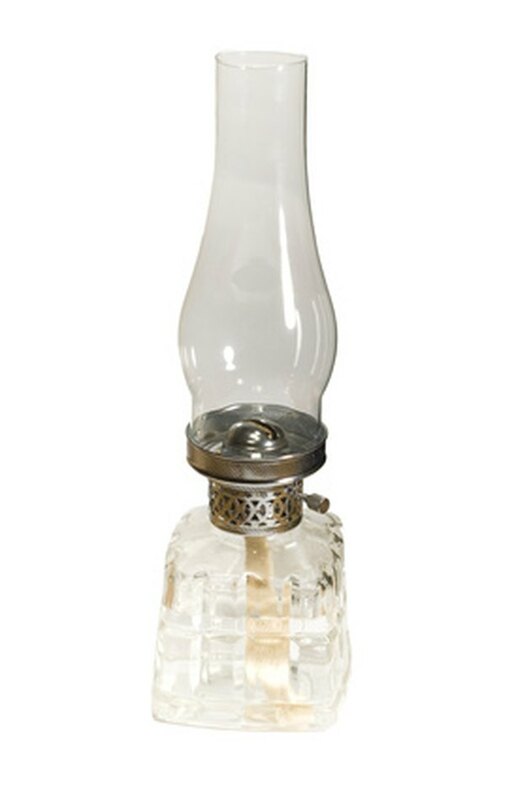 It burns easily and safely, allowing you to make use of oil lamps during a storm or for ambiance. Mineral oil recipes burn cleanly in an oil lamp. Add the mineral oil and coconut oil to the glass bowl. Mix them thoroughly with a disposable stirrer. Coconut oil can be found in grocery stores. Coconut oil thins out the mineral oil so that it doesn't create a lot of black soot when it burns. Stir in your choice of food coloring. This tints the mineral oil a pleasing color for clear oil lamps. Remove the top of the oil lamp and remove the wick. Pour the mineral oil into the receptacle of the oil lamp and dunk the wick back into it. Reassemble the oil lamp for use. Let it sit for two hours before lighting so the wick can absorb the oil.